Department of Oncology, University Children's Hospital of Zurich, Steinwiesstrasse 75, Zurich 8032, Switzerland. As cancer is a global epidemic which knows no borders, efforts to better understand biology and to control it should know no borders either. This issue contains a mixture of clinical and preclinical scholarly articles that have been written by scientists from America, Europe, and the Middle East. I hope that the fresh insights represented here will be appreciated by neuro-oncologists and brain cancer researchers across the translational spectrum. Central nervous system (CNS) cancer is a devastating illness with unmet therapeutic needs. Establishing biomarkers that have the potential to guide accurate CNS cancer diagnosis or are helpful in predicting disease progression or therapy response is of great interest. Cerebrospinal fluid (CSF) has been extensively targeted for the detection of molecules that might be useful markers for cancer detection. However, so far very few of such markers have found a standardized routine clinical application. 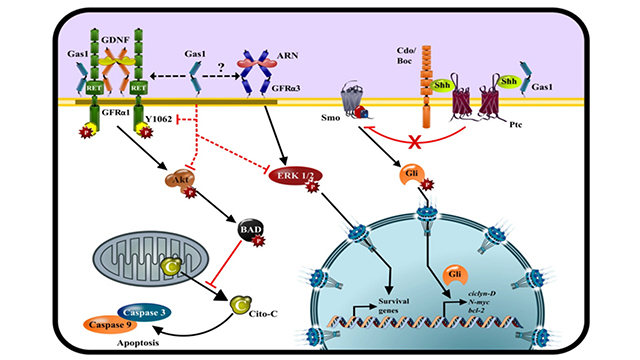 This review examines the current scientific knowledge about the biochemical elements in the CSF that have been reported in the literature as brain cancer biomarkers and highlight reasons why the role of most markers is not yet established in the managment of CNS tumors. J Cancer Metastasis Treat 2016;2:176-87. J Cancer Metastasis Treat 2016;2:188-94. J Cancer Metastasis Treat 2016;2:147-8. Local infiltration and distal dissemination of tumor cells hamper efficacy of current treatments against central nervous system (CNS) tumors and greatly influence mortality and therapy-induced long-term morbidity in survivors. A number of in vitro and ex vivo assay systems have been established to better understand the infiltration and metastatic processes, to search for molecules that specifically block tumor cell infiltration and metastatic dissemination and to pre-clinically evaluate their efficaciousness. These systems allow analytical testing of tumor cell viability and motile and invasive capabilities in simplified and well-controlled environments. However, the urgent need for novel anti-metastatic therapies has provided an incentive for the further development of not only classical in vitro methods but also of novel, physiologically more relevant assay systems including organotypic brain slice culture. In this review, using publicly available peer-reviewed primary research and review articles, we provide an overview of a selection of in vitro and ex vivo techniques widely used to study growth and dissemination of primary metastatic brain tumors. 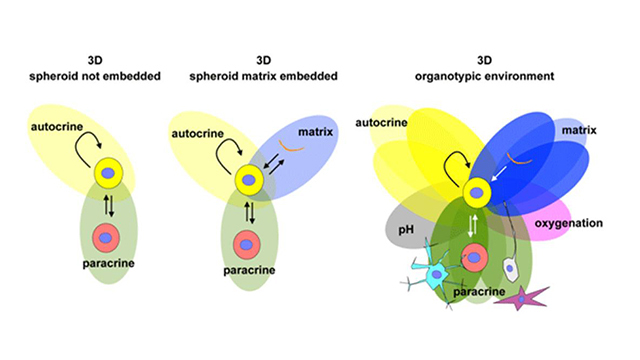 Furthermore, we discuss how our steadily increasing knowledge of tumor biology and the tumor microenvironment could be integrated to improve current research methods for metastatic brain tumors. We believe that such rationally improved methods will ultimately increase our understanding of the biology of brain tumors and facilitate the development of more efficacious anti-metastatic treatments. J Cancer Metastasis Treat 2016;2:149-62. The incidence of metastatic disease in the central nervous system (CNS) is rising. According to current estimates, up to a third of adult cancer patients will suffer from CNS metastasis. Clinical evidence-based data from prospective randomized trials are rare, however, because CNS metastasis patients were often excluded from clinical trial participation. The management of CNS metastasis patients is therefore rather ill-defined and an interdisciplinary challenge. 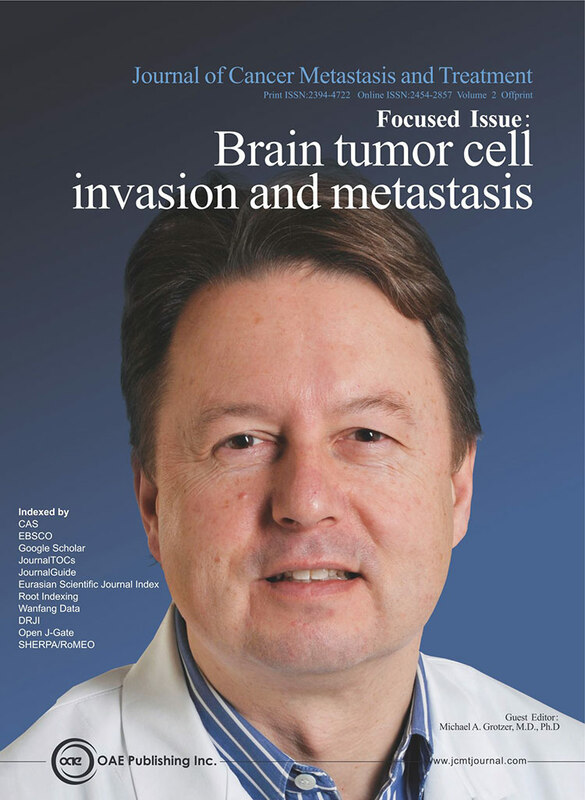 Recent basic and translational science data have begun contributing to a more profound understanding of the molecular mechanisms leading to invasion of tumor cells into the CNS. This report reviews advances, challenges, and perspectives in this field. J Cancer Metastasis Treat 2016;2:163-75. Modern brain tumor surgery stands in the pillar of maximum safe resection. 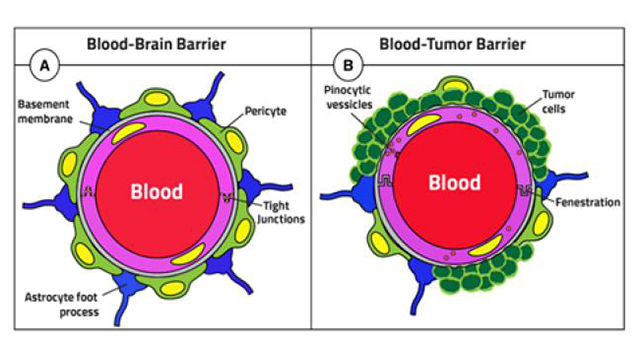 Tumor borders are always challenging, especially inﬁltration zones in malignant brain tumors. Novel technologies are designed for a better delineation and to increase the extent of resection (EOR) in brain tumor surgery, such as: cortical and sub-cortical mapping strategies with somatosensory-evoked potentials, awake stimulation mapping and cortical/sub-cortical stimulation for motor pathways, important for resection in eloquent areas; intra-operative imaging as functional and intra-operative magnetic resonance imaging, diffusion tensor imaging and intra-operative ultrasound are important for the tumor borders and to achieve the gross total resection; neurochemical navigation methods as 5-aminolevulinic and sodium ﬂuorescein are important for the non-contrast-enhanced tumor border; future methods can be achieved with augmented reality surgery, new intra-operative chemical markers, and visualization methods. Nevertheless all these techniques seem to be promising, the real challenge in the future will be held in how to apply them and how they really affect the prognosis of the patients. Also, new concepts in tumor genetics will provide knowledge for the tumor behavior and will guide resection. Despite all limitations, the increasing importance of safe EOR shows the possible beneﬁts of the novel technologies and surgical advances in brain tumor surgery, taking it to a new step of the neuronavigation era. J Cancer Metastasis Treat 2016;2:70-9. 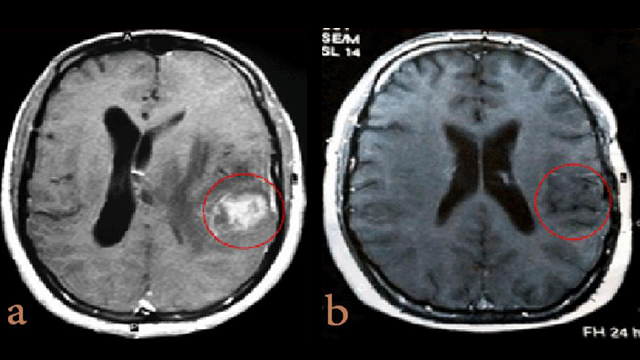 Glioblastoma multiforme (GBM) is the most common and lethal brain tumor. Its prognosis remains very poor, despite the use of combined treatments such as surgical resection, radiation and chemotherapy. The major limitations for the treatment of GBM are its high invasiveness, tumor recurrence and resistance to treatments. Therefore, gene therapy appears as a relevant strategy for its treatment. Thus, we have investigated the use of growth-arrest-specific 1 (Gas1) for the treatment of GBM. Gas1 is a tumor suppressor protein that inhibits glioma growth by inducing arrest and apoptosis of tumor cells. Moreover, we have shown that a soluble form of Gas1 acting in both autocrine and paracrine manners is also effective inhibiting tumor growth in animal models, indicating its potential as an adjuvant for the treatment of GBM. J Cancer Metastasis Treat 2016;2:101-11. Worldwide, the incidence of primary brain tumors is on the rise. 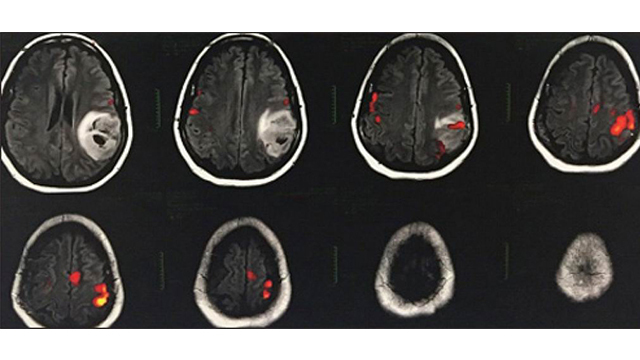 Unfortunately, noninvasive drug therapy is hampered by poor access of most drugs to the brain due to the insurmountable blood-brain barrier (BBB). Nanotechnology holds great promise for noninvasive therapy of severe brain diseases. Furthermore, recent bioconjugation strategies have enabled the invasion of the BBB via tailored-designed bioconjugates either with targeting moieties or alterations in the physicochemical and/or the pharmacokinetic parameters of central nervous system (CNS) active pharmaceutical ingredients. Multifunctional systems and new entities are being developed to target brain cells and tumor cells to resist the progression of brain tumors. Direct conjugation of an FDA-approved drug with a targeting moiety, diagnostic moiety, or pharmacokinetic-modifying moiety represents another current approach in combating brain tumors and metastases. Finally, genetic engineering, stem cells, and vaccinations are innovative nontraditional approaches described in different patents for the management of brain tumors and metastases. This review summarizes the recent technologies and patent applications in the past five years for the noninvasive treatment of glioblastoma and other brain tumors. Till now, there has been no optimal strategy to deliver therapeutic agents to the CNS for the treatment of brain tumors and metastases. Intensive research efforts are ongoing to bring novel CNS delivery systems to potential clinical application. J Cancer Metastasis Treat 2016;2:112-22.